The Easter holidays are here and the summer holidays are only a few weeks away and with all the free time it can be hard to keep the kids contented all the time. Food is always a great way of keeping the kids pleased and the more fun you can make the food the better! Below are three great food hacks that will definitely impress the kids and have them bragging to all their friends about how they have the best parent ever. 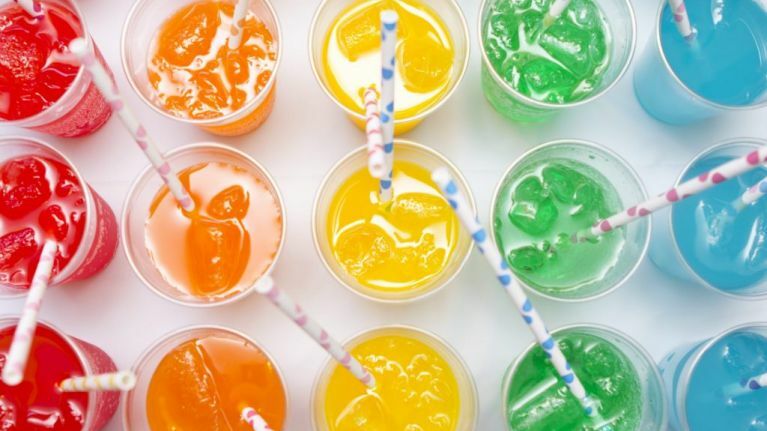 The post suggests putting the flavoured ice cubes in Sprite but alternatively, you could add them to cordial or juice by making the cubes with other cordials and juices. Another fun trick would be to make the ice cubes with flavoured milk and then add them to regular milk for a yummy treat. With summer only around the corner, the kids will definitely love these. As mentioned above you can always substitute the fizzy drink for a delicious cordial or juice. For a healthier option why not try these delicious yogurt buttons. Perfect for all ages, all you have to do is pick their favourite yogurt flavour and go. To things even better why not make the buttons large and blend the flavours together to make swirly cool designs.